Osteosarcoma is a pediatric bone cancer. We raise money to find a way to better treat osteosarcoma. Elise was 8-years-old and a 3rd grader when she was diagnosed with osteosarcoma (bone cancer) in her right tibia near her knee, in September 2014. Treatment began quickly at MD Anderson Cancer Center in Houston since it is a very aggressive cancer. Elise endured 10 weeks of punishing chemotherapy. 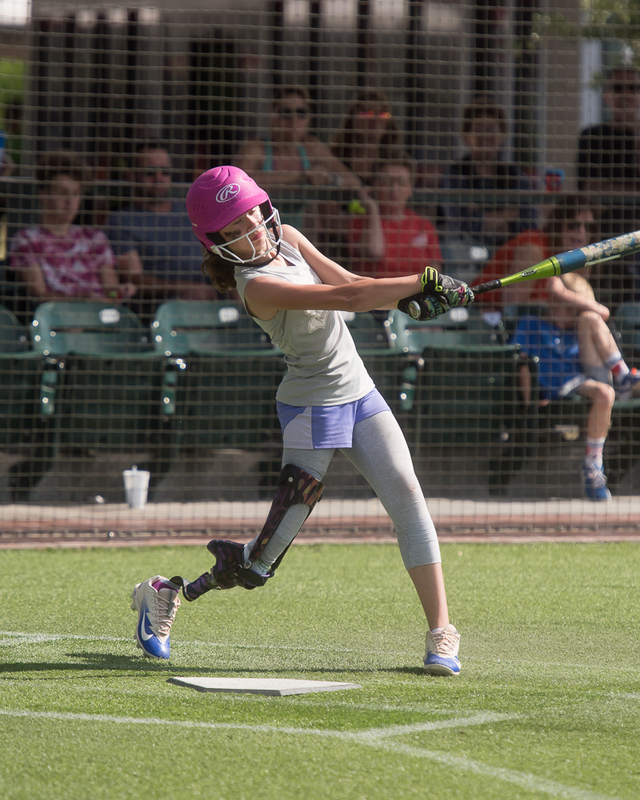 On December 8, 2014, Elise had a surgery called rotationplasty to rid her body of the tumor. Rotationplasty is an amputation where the middle part of her leg, including her knee, was removed. The remaining bottom part of her leg was rotated 180-degrees and reattached to her thigh. This gives the appearance of a short leg with the foot on backwards. The remaining foot and ankle then function as a knee joint, allowing Elise to have a more functional prosthetic leg because she has a natural joint. After the surgery, Elise was back on the punishing chemotherapy for 20 more weeks. Her final chemo treatment was in May 2015. In the nine months of treatment, Elise received 28 bags of chemo and had 21 hospitalizations for a total of 85 days. She was not able to attend 3rd-grade at school, but was educated by a homebound teacher. Elise began 4th grade with the rest of her class and has an NED status: “no evidence of disease.” She had scans every three months for the first two years, then scans every four months for the year after that, and then scans every six months until 5 years out. The chemotherapy that needed to be used on Elise can damage her heart and her hearing, so part of her regular testing includes echocardiograms and hearing tests. So far the testing shows that there is no damage of significance. Elise is happy and has a positive attitude towards life. She has an older brother and sister, and a younger brother and sister, so she always has family with her and her house is always noisy.